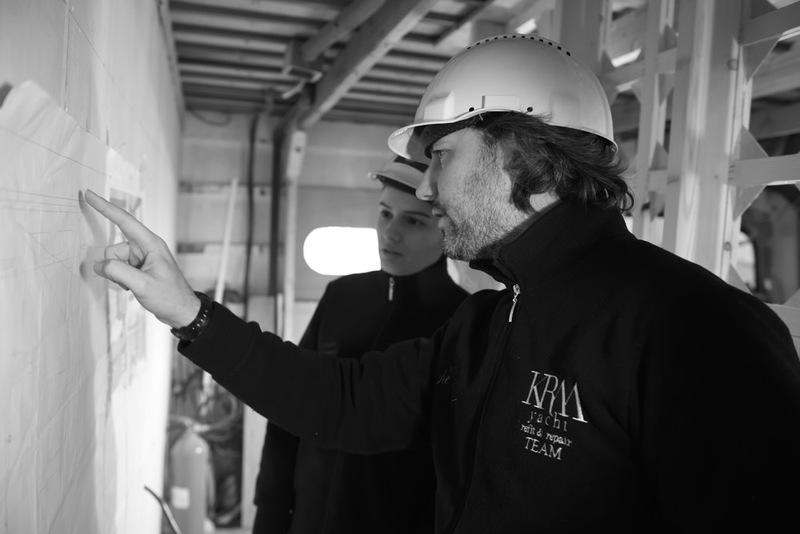 KRM Yacht was founded for the sole purpose of ‘superyacht refit’. they are the first and only company in Turkey specialising just in superyacht refits with professional in house teams and fully equipped facilities. engineers, naval architects and captains. In addition to this team, they have professional in-house service teams and qualified subcontractors for each aspect of the project. These subcontractors and craftsmen were carefully handpicked at the time of the company’s foundation and, over the years, have become trustworthy partners who have proved their dependable services. The meticulous craftsmanship on their projects cover: interior, painting, carpentry, engineering & design, mechanics, overhaul, hydraulic, all types of structural work, electric wiring, electronics, piping, industrial cooling and air-conditioning, and upholstery. KRM Yacht also invested heavily in their Istanbul facility and purchased a 300 T travel lift at the beginning of 2018. With this lift KRM Yacht extends the capacity at their Istanbul Tuzla facility, which is the heart of the marine business and yachting industry in Turkey. Refit projects have different dynamics. To keep up with the high demand of supplies and the qualified work force needed for refit projects, the need for a convenient location is paramount. KRM Yacht has the widest service areas with two fully equipped shipyards, branches and several service points at the best locations in Turkey. With years of experience of their in-house teams and the trust they have in the subcontractors, they pride themselves on providing high quality deliveries in budget and on time. They always carefully plan and work on budgets, accounting for every minor detail. The have complete transparency giving access to the servers providing the ‘View Your Yacht’ feature where you will be able to see the progress 24/7.